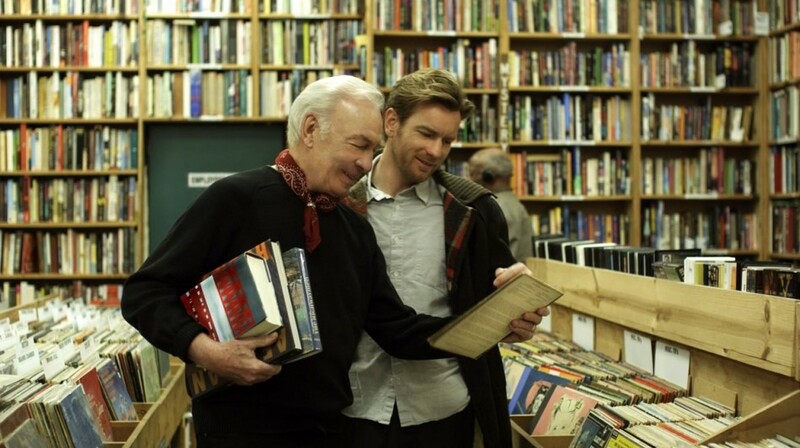 Oliver (Ewan McGregor) is a lonely graphic artist whose father has just died from cancer. He catalogues biographical events in still images, using references to history and popular culture as signposts demarcating one phase of his life from another. While he narrates Beginners, montages of these stills flash onscreen from time to time. 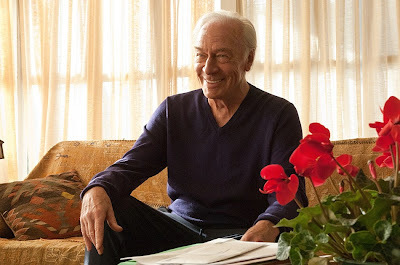 It’s quite telling, though, that the catalytic event in the film — a conversation between Oliver and his father, Hal (Christopher Plummer), in which dad comes out of the closet — is presented as an unreliable flashback in which Hal wears a purple sweater. Oliver admits his dad probably wore a robe instead. With Beginners, director Mike Mills (Thumbsucker), a well-regarded music video director and graphic designer for acts such as the Beastie Boys and Sonic Youth, crafts a touching movie by stringing together a good deal of irreverent moments such as these. Like Oliver, Mills’s father came out to him shortly after Mills’s mother had died; just like Hal, Mills’s father was diagnosed with cancer soon after. Though Mills sensitively strikes a balance between the drama and romantic comedy, he achieves the most authenticity in the flashback sequences involving Oliver’s reconnection with Hal, and Hal’s exploration of his homosexuality and life with cancer. Beginners intercuts from Oliver’s recollections of his father to his romance with Anna, each storyline informing the other. As Oliver gets to know the new gay man Hal always was, finally comprehending his dad’s newfound joie de vivre (exemplified in a loving May-December fling between Hal and Goran Visnjic’s free-spirited Andy), Mills compares the slow rapprochement between father and son to Oliver and Anna’s tentative attachment to one another. The only false note is a climactic break-up scene that has Oliver splitting up with Anna a day after they move in together because he thinks they should feel happier about their new step towards commitment. Proving filmmaker John Frankenheimer’s famous quote, “Casting is 65 percent of directing,” any preciousness one might be inclined to attribute to Mills’s unorthodox visual style evaporates in the hands of the film’s talented ensemble. McGregor transcends the passivity of a typical narrator, connecting with the viewer’s most repressed fears of ending up alone. Plummer is neither maudlin nor flamboyant as a gay, terminal patient, imbuing Hal with dignity and depth that subverts the character’s basic story purpose as Oliver’s source of inspiration. And Laurent is quite wonderful in an underwritten role, avoiding the self-consciousness that usually typifies a foreign actor’s first full-on, non-native language endeavor. At its worst, Beginners is not so different from your average indie about relationships. But at its best, which is often, Beginners recalls some of Woody Allen’s romances, Annie Hall, Manhattan and Stardust Memories — a quirky, personal account of romance that also strikes a tone of universality. This review was first published on 6/8/2011 in Nomad Editions: Wide Screen.